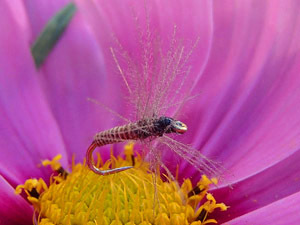 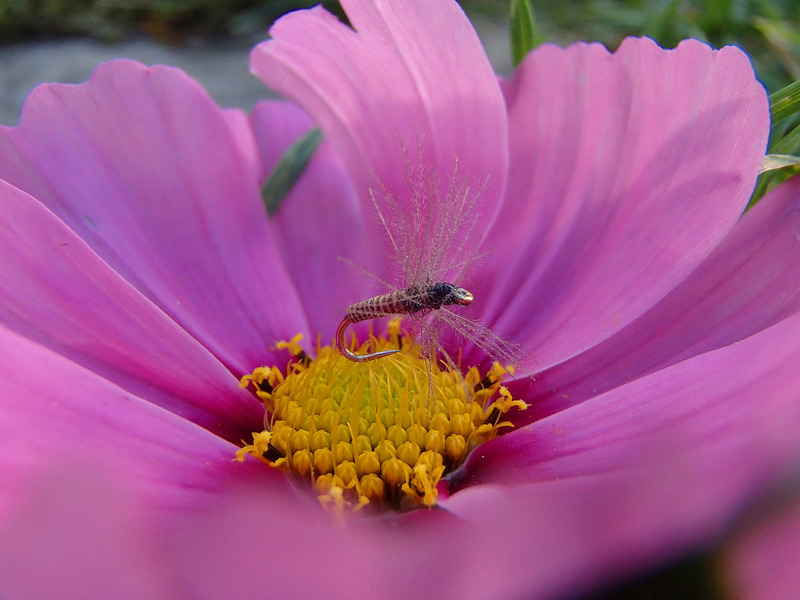 CDC is today used for fine flies world wide. 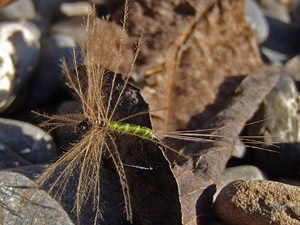 But the sources are in Switzerland, in the region of the Jura mountains, where the famous chalk streams as the Doubs or the Orbe with their cunning fish flow. The Swiss flytiers Joset, Veya and Bickel began using making Swiss CDC flies 100 years ago, making simple but very effective flies. 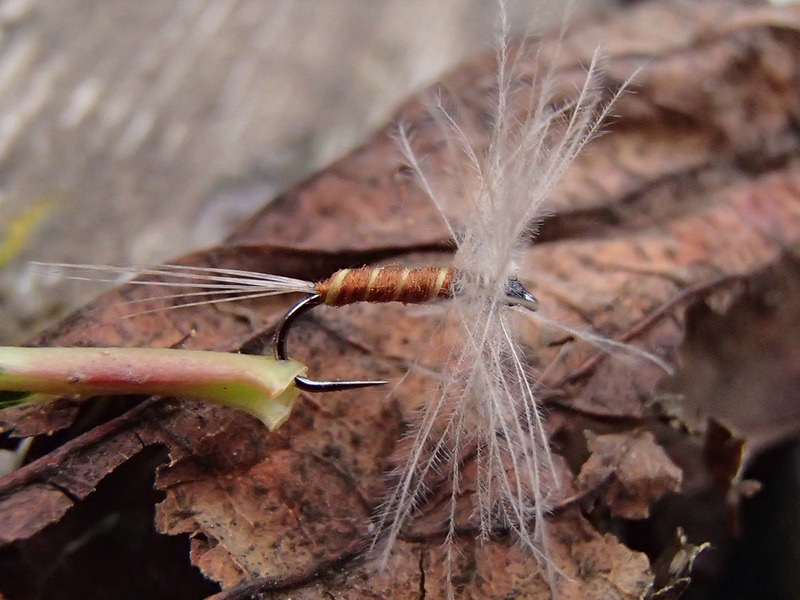 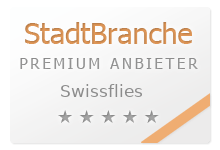 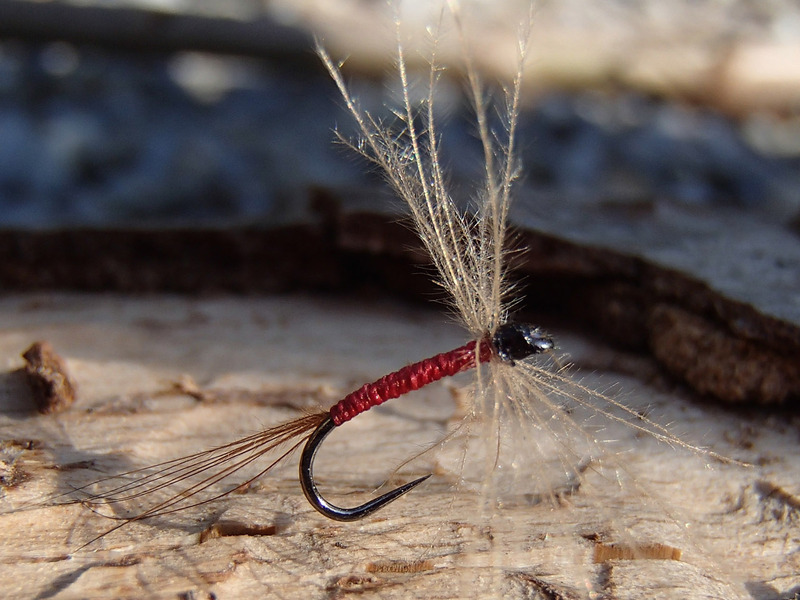 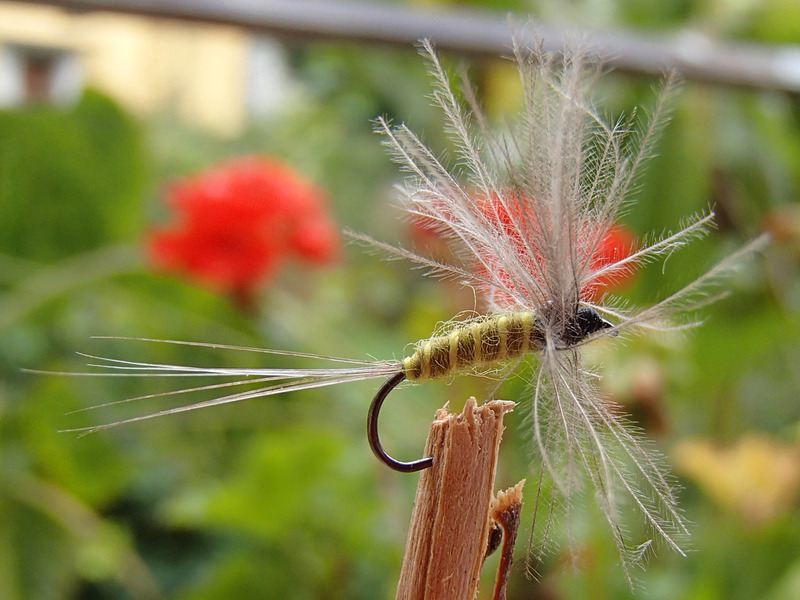 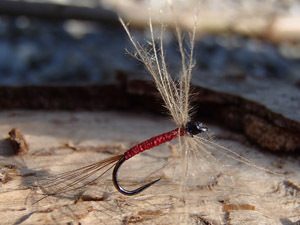 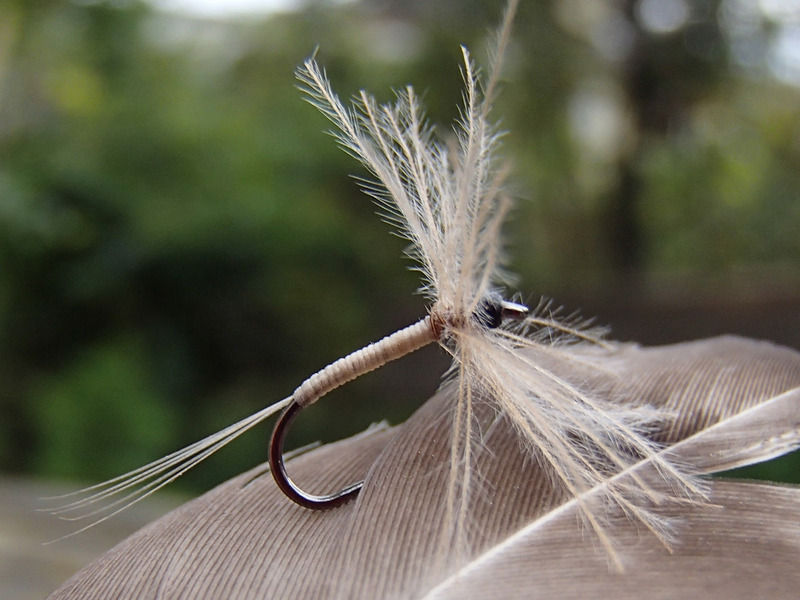 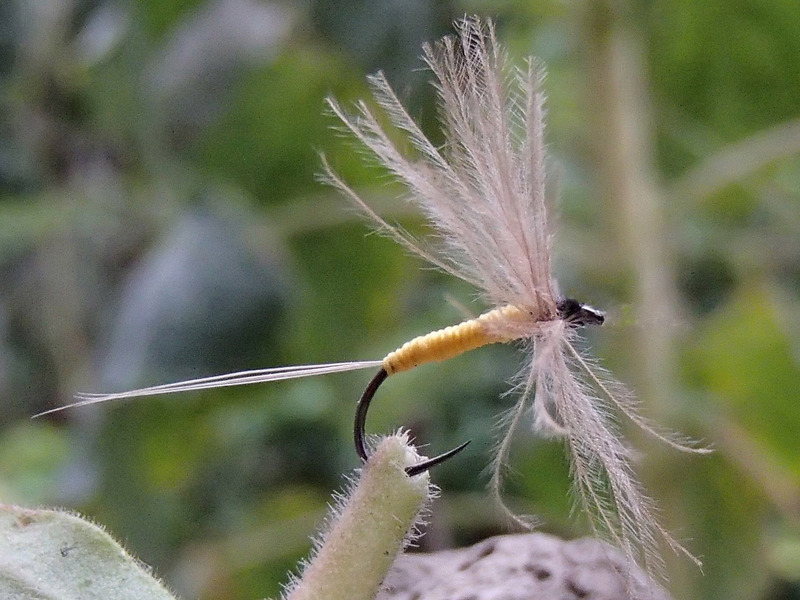 On this page you find remakes, as good as the originals, and new patterns with the same Swiss quality tied with finest cul de canard feathers Swiss CDC on fine barbless hooks. 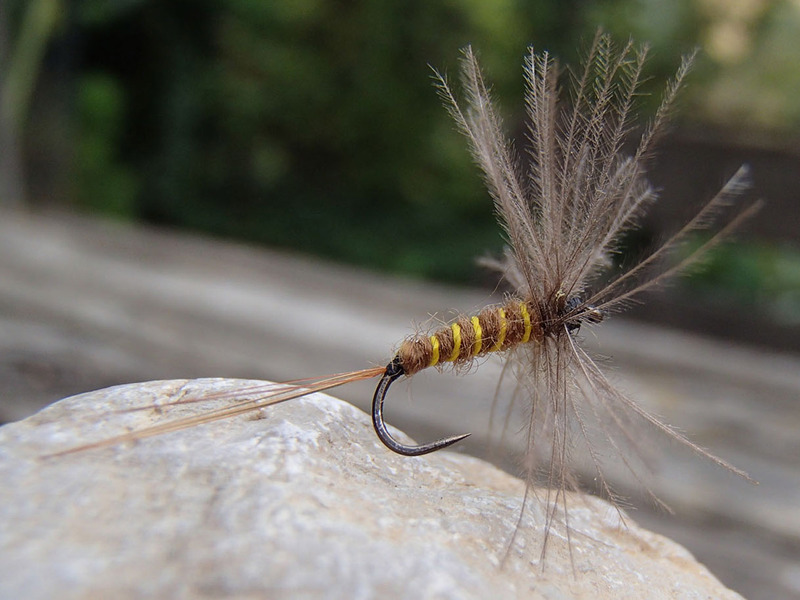 CDC fly "Moustique du Jura"
Classic CDC with silk body- catches fish since many years- made with original natural undyed Swiss CDC -in yellow, red, beige on barbless Swiss Hooks Size 16. 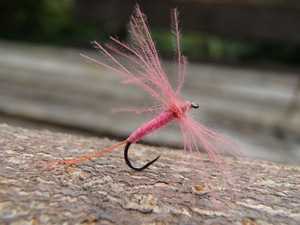 CDC with fine ribbed silk body- catches fish since many years- made with original Swiss CDC on Swiss Hooks. 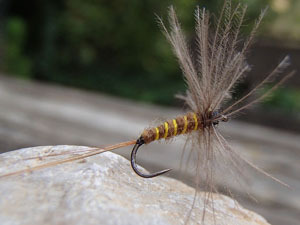 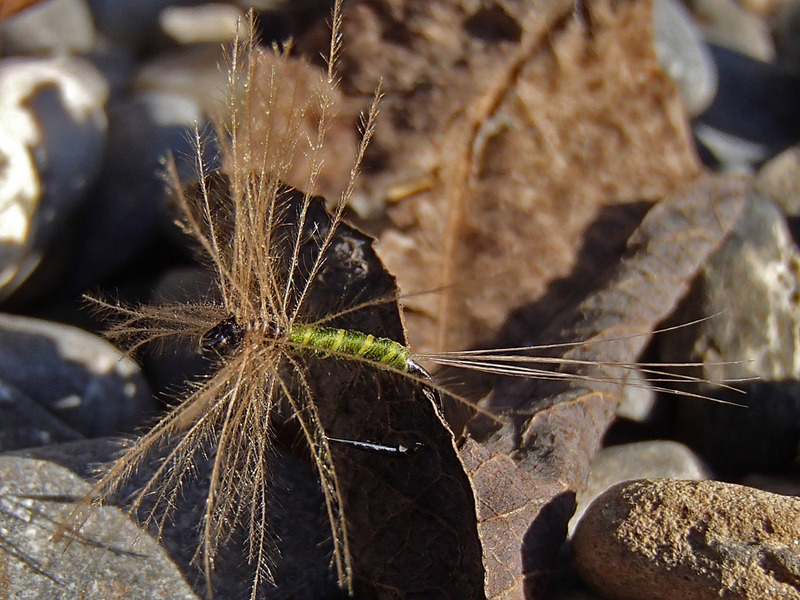 Brown and olive patterns imitate all the smaller mayfly species (Baetis spp.) 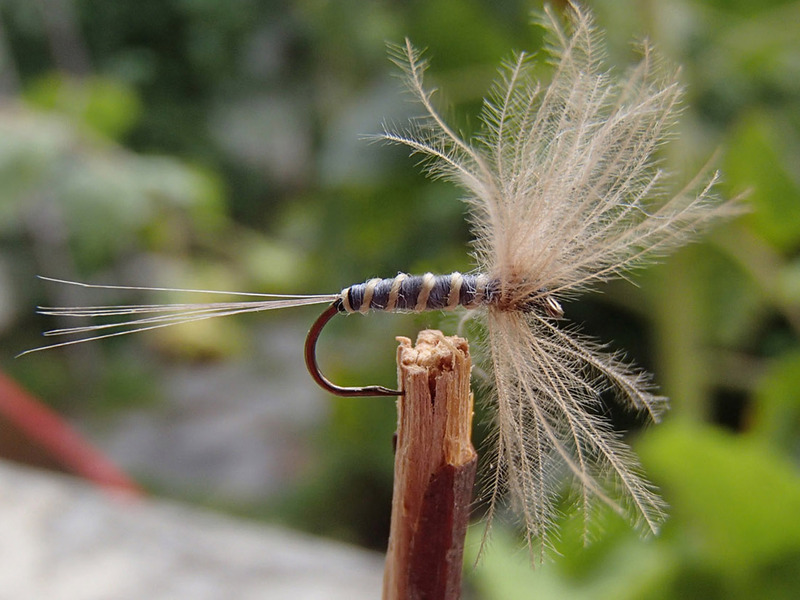 very good, and the grey ribbed white is perfect for the late autumn grayling.